In small doses, harmonics are of not an issue. However, if you are receiving an increase in non-linear loads in your facility it could lead to serious power quality problems. What could start out as a brief power surge could turn into a drop in voltage and the results are a staggering financial setback you don’t want to have to deal with. Problems such as voltage sags and surges, transients and harmonics are estimated to cost Canadian businesses about $1.2-billion annually in lost production according to studies by the Canadian Electrical Association. The financial impact of these power disturbances varies, however we highly recommend the need to effectively eliminate harmonics in your facility’s electrical system to keep things running efficiently. How should that be accomplished? The key to your solution is having an effective monitoring program setup. With power monitoring and energy loggers we can monitor data allowing us to make informative and effective decisions in a timely manner. At Bishop Site Services, we can help you understand how power disturbances happen and how they can be dispensed with. 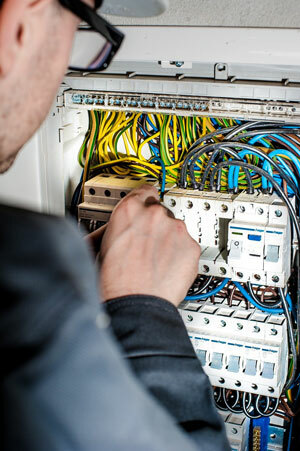 It’s what we do; we find ways to effectively eliminate the distortion of a normally smooth utility power by analyzing your particular situation and then provide the expert advice required to eliminate harmonics in your building’s electrical system so your business can run efficiently. As a general rule, harmonics are produced by “non-linear” loads in power systems. A non-linear load does not draw current in proportion with the existing electrical frequency. In other words, this equipment “gulps” electric current from the supply rather than taking current in a smooth fashion. This causes a distortion. Harmonic-producing non-linear loads come from devices with power electronics, such as computer equipment, adjustable speed motor drives, consumer electronics, electronic lighting ballasts and welder and battery charges. Individually, these disruptions are of little concern, but cumulatively they can lead to significant power quality problems. With a power quality site survey, Bishop Site Service can help you determine what, if any, problems you may have. This can help determine the presence and extent of harmonics, plus reveal other power quality problems such as voltage sags, power interruption, voltage unbalance, substandard wiring, poor or inadequate grounding and flicker symptoms. And using conditioning equipment to lessen power quality problems when they occur. Want maximum output of your power while enjoying minimum costs? Contact Bishop Site Services today to schedule your site survey – we can help you maximize the performance of your electrical system.